We are your one-stop provider for FileMaker software. Through our partnership with FileMaker, we can offer our clients FileMaker licensing at a discount. As a Platinum FileMaker Business Alliance member, we're committed to ensuring that you have the rights tools for the job. We will consult with you about your business processes to ensure you're buying the right FileMaker software for your needs. Through special promotions and our own dedication to customer satisfaction, we can license the FileMaker Platform for you at the best price. If you need FileMaker Pro Advanced annual pricing with FileMaker Server, FileMaker Go and FileMaker WebDirect - or want to purchase a perpetual license - we've got you covered. As a Premier Intuit Reseller, we can offer our clients discounts on QuickBooks Pro, Premier, Enterprise, and QuickBooks Online licensing. 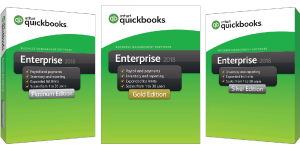 If your needs extend beyond QuickBooks licensing, we can resell any Intuit product, including Point of Sale hardware and software, Intuit Payroll, and QuickBooks Accountant licensing. Our clients can get their QuickBooks licensing at a discount and we will beat any advertised price. If you have unique license requirements or don’t see what you are looking for on our website – give us a call! We’ll work with you to get you what you want at the best price. Interested in learning how to integrate FileMaker to QuickBooks Desktop using the FM Books Connector plug-in? Have a look at our new training course designed to provide an in-depth look at the integration process. 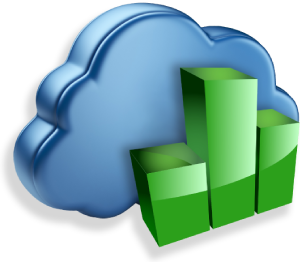 Want to host your QuickBooks Desktop file? Our QuickBooks Hosting plans allow you to run FileMaker and QuickBooks side-by-side in the cloud and access all your applications on a remote desktop. This course covers everything you need to know to properly install and configure your SSL certificate on FileMaker Server. Learn about the various types of SSL certificates, how to buy a domain and an SSL certificate, how to bind an SSL to a domain, how to point your domain to a FileMaker Server IP address, and more! Learn how FileMaker Server handles access to hosted databases through OAuth providers such as Amazon, Google, and Microsoft Azure. You’ll understand how to perform basic configurations for External Authentication with Amazon, Microsoft Azure, Google and Active Directory. Avoid the pains of working with Terminal to migrate your data from one file to another. Working alongside the FileMaker data migration tool in FileMaker 17, the FM Data Migration Assistant makes it easy to transfer data from one FileMaker file to another. This tool comes with a complimentary training course to demonstrate the tool's functionality. 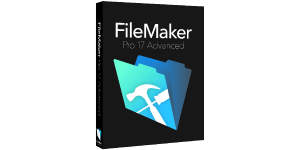 Get full control of your FileMaker 17 Server using the FileMaker Admin API. The FM Server Manager demonstrates how you can use FileMaker Server’s new Admin API functionality to manage your server, schedule backups, query for user information and more. This free tool and complimentary training course will help you learn how to work with a FileMaker API.